Feel the difference between houses and big historical buildings. Experience the architecture and history of the town. When blind people finger their town for the first time it is a completely new experience for them. Before they could feel the walls of the town but only the model gives them a chance to understand the dimension of the town they live in. 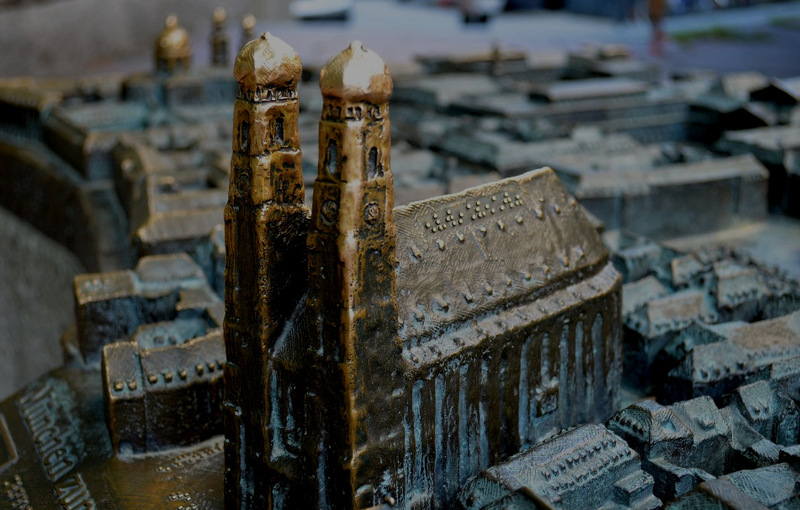 With the support of students and teachers of a school for the blind and an institute for the blind the German sculptor and designer Egbert Broerken developed the first town model for blind people 20 years ago. 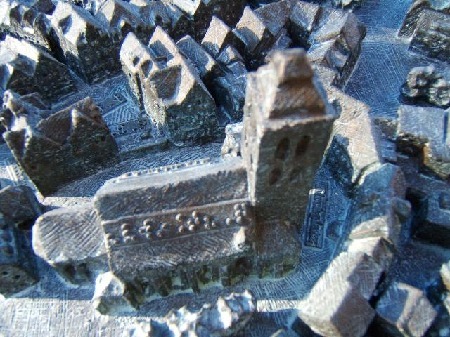 Since then these bronze sculptures can be found in many cities in Europe. They are models of towns. They show wonderful old town views or single buildings like churches, abbeys and museums. And they are all true to scale. The small dots of Braille give the necessary explanation. This way, visually handicapped citizens may feel and recognise their own town. For this first time they can make an architectional, historical or touristy experience in three dimensions. 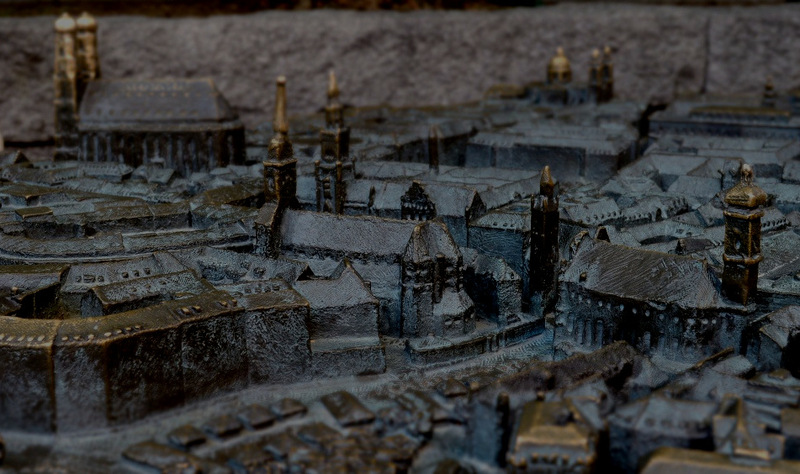 But other viewers of the bronze miniature town models and buildings also show a big response. Because of these models, old and young people, blind and seeing people get closer and start talking to each other and create a chance to learn from each other. Depending on size and complexity, Sculptor Egbert Broerken works 8 - 10 months on a project. This is from taking photos and making the model, to casting the bronze end product. These works of art are casted in gold bronze in a traditional hand craftes method, which guaranties precision in detail and durability of the bronze relief. These artistic objects are seen as a great enrichment in every town.